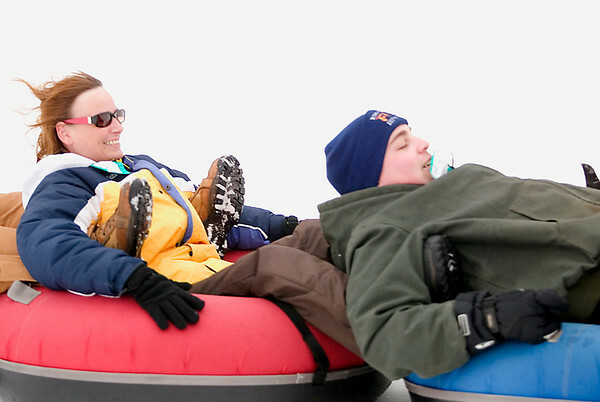 Marci Wolvin, left, and Mike Butler, both of Port Huron, go tubing at Mt. Holiday on Saturday afternoon. The group came to Traverse City after a lack of snow in Lewiston cancelled their snowmobiling trip.